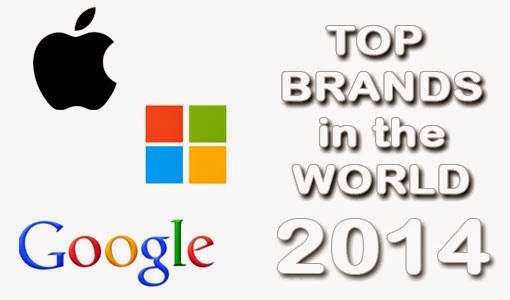 Forbes announced on Wednesday, Nov.5, the super and leading brands in the World for the year 2014. The U.S. popular magazine listed all the most powerful brands span the globe and a wide range of industries. Top of their list is the Apple company, their phones and tablets such as iPhone and iPad are the trademark of the company worldwide. The brand value of Apple has $124.2 billion with brand revenue worth $170,9 billion. According to Forbes, "The company sold 39.3 million iPhones in its latest quarter and could sell as many as 60 million during the last three months of 2014 with the holiday selling season. Apple also moved 12.3 million iPads and 5.5 million Macs last quarter." Microsoft rank second in the list and has a $63 billion value. The company had more success with its software licensing towards cloud offerings. Microsoft brand revenue is $86.7 billion. Third spot is the search engine giant, Google. The brand value of Google is $56.6 billion. The company brand generated $16 billion in earnings before interest and taxes over the last 12 months, and it is one of the biggest ad spenders in tech at $2.8 billion in 2013, Forbes said. For more Forbes related information, Please bookmark this page for updates and you may also share this post to your friends. Comments or suggestions about "Top 10 Most Valuable Brands Worldwide 2014 - Forbes" is important to us, you may share it by using the comment box below.